Biotechnological devices and products from are made to the ones who need them in certain businesses and firms. International biotech labs and subsidiaries with their subsequent product pipeline are integrated in order to deliver the needed demands in the market. Mentioning one of the key players in here is the BioMarin Pharmaceutical, Inc.
BioMarin Pharmaceutical Inc. is a company that specialises in the biotech industry. Based in their corporate headquarters in San Rafael, California, it has several locations and offices worldwide. The company’s main business is in enzyme replacement therapies (ERTs). In addition, they were the first biotech company which provide therapeutics for mucopolysaccharidosis type I (MPS I), by manufacturing laronidase (Aldurazyme, commercialized by Genzyme Corporation). Also, they were the first proponents to provide therapeutics for phenylketonuria (PKU). The BioMarin pharmaceutical stock is available publicly as well and is open for internship. In 1997, BioMarin was founded by men named Christopher Starr Ph.D. and Grant W. Denison Jr. with an investment of a $1.5 million from Glyko Biomedical and successfully went public in 1999. Other proponents were MPM Bioventures, Grosvenor Fund and Florian Schönharting. In 2002, BioMarin made an acquisition to Glyko Biomedical. In 2009, another acquisition was made to Huxley Pharmaceuticals, Inc. (Huxley), which had rights to a proprietary form of 3,4-diaminopyridine (3,4-DAP), amifampridine phosphate. In 2010, marketing approval was granted to the company by the European Commission for 3,4-diaminopyridine (3,4-DAP), amifampridine phosphate for the treatment of the rare autoimmune disease Lambert-Eaton myasthenic syndrome (LEMS). BioMarin made a product launch of this under the name Firdapse. In 2010, BioMarin made another acquisition to LEAD Therapeutics, Inc. (LEAD), a small private drug discovery and early stage development company with key compound LT-673, an orally available poly (ADP-ribose) polymerase (PARP) inhibitor studied for the treatment of patients with rare, genetically defined cancers. In 2012, the company made acquisition to Zacharon Pharmaceuticals, a private biotechnology company based in San Diego focused on developing small molecules targeting pathways of glycan metabolism. In November 2014, the company successfully acquired Prosensa for up to $840 million, the range of treatments for Duchenne Muscular Dystrophy however failed to attain FDA approval and in May 2016 development ceased. Vimizim, an enzyme replacement therapy for the treatment of MPS IV A, a lysosomal storage disorder. BMN 250, a novel fusion of alpha-N-acetyglucosaminidase for the treatment of Sanfilippo B syndrome, or mucopolysaccharidosis type IIIB. Medical equipment are made to dedicate them to potential customers and firms. Certain creations and acquisitions are being made especially in the health care and their corresponding human resources. Mentioning one of the key players in this industry is the Becton, Dickinson and Company. Becton, Dickinson and Company (BD) is a MedTech corporation based in the United States that makes and sells medical devices, instrument systems, and other related products. Founded in 1897 and corporate in Franklin Lakes, New Jersey, the company has 50,000 people working in more than 50 locations in countries internationally. In fiscal year ending of September 30, 2009, more than half of BD sales were generated from non-U.S. markets. Address location: #1 Becton Drive, Franklin Lakes, NJ 07417, U.S.A.
Maxwell W. Becton and Fairleigh S. Dickinson were the proponents of the company in 1897, two American businessmen who met on a sales trip. In the same year of first sales, a Luer-all-glass syringe that sold for an amount of $2.50. In 1898, the first patent for a medical product was acquired. In 1899 initial design of logo was created in which was meant to symbolize guaranteed superior quality of the products provided by the company. In 1948, the next generation of Fairleigh S. Dickinson, Jr. and Henry P. Becton, sons of the founders, led the BD. Their term was a time of rapid development for BD. The company generally grew within the U.S. as well as internationally. In 1973, another U.S. facility was added by BD—a research center in Durham, North Carolina in Research Triangle Park. 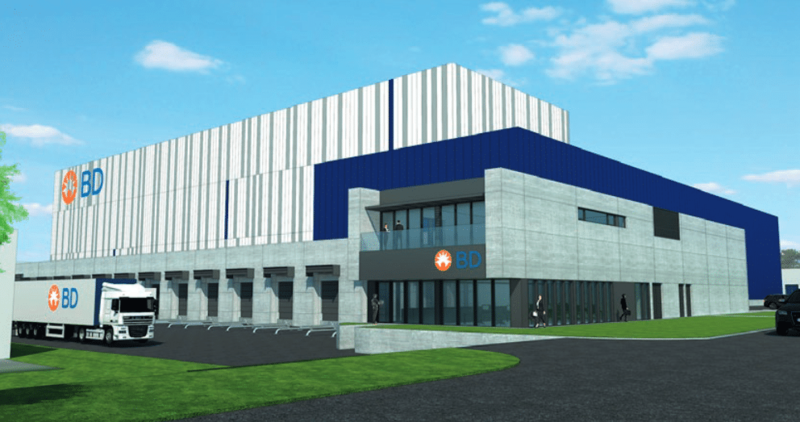 It was built to help meet United States Environmental Protection Agency (EPA) requirements, research improved manufacturing and process methods, and develop future innovative technologies. In 1999, as BD exists for more than a century, it was announced that BD has its new corporate identity. Later then it was shortened to BD. The notable year of ’06 was to document BD’s growth as the acquisition was done to GeneOhm Sciences—a leader in the development of molecular diagnostic testing for the rapid detection of bacterial organisms and TriPath Imaging—a cancer diagnostics company. BD Medical – This segment offers products such as syringes, pen needles, and IV sets for diabetes; and intravenous catheters for medication delivery of needles, syringes,; prefilled IV flush syringes; regional anesthesia needles and trays; sharps disposal containers; closed-system transfer devices; skin antiseptic products; surgical and laproscopic instrumentations; intravenous medication safety and infusion therapy delivery. BD Life Sciences – The BD Life Sciences segment provides systems for specimen acquisition processes; safety-engineered blood collection, automated blood culturing and tuberculosis culturing, and microorganism identification and drug susceptibility systems; tests for molecular specimen systems for infectious diseases and women’s health; liquid-based cytology systems for cervical cancer screening; rapid diagnostic assays; microbiology laboratory automation, and plated media products. Pharmaceutical companies are highly dedicated in giving quality possible product and service quality to its customers and potential ventures. World pharmaceuticals and labs are integrated in order to deliver the demands. Mentioning one of the key players in the pharmaceutical and medical industry is the Allergan. Allergan, Plc is a multi-national pharmaceutical public limited company that focuses on dermatology, research on pharmaceuticals in the skin, contact, eye, general health, and more. This company produces branded and generic drugs, and performs research and development in the pharmaceutical sector. Initally formed on the date of February 18, 2015, before when the company formerly known as Actavis, Plc changed its name which was completed as of June 15, 2015. Actavis, Plc eventually became Actavis which now forms the AmGen division of the company. Founder Allen Chao, Ph. D. & David Hsia, Ph. D.
Headquarters/Based in Dublin, Ireland & Parsippany, Troy Hills, NJ, USA. Pharmaceutical products and services are provided by companies that are dedicated to its people. Pharmaceutical companies form merges and are strategically integrated in order to deliver the demands in the international market. One of the main players in the pharmaceutical industry is the AmerisourceBergen Corporation. 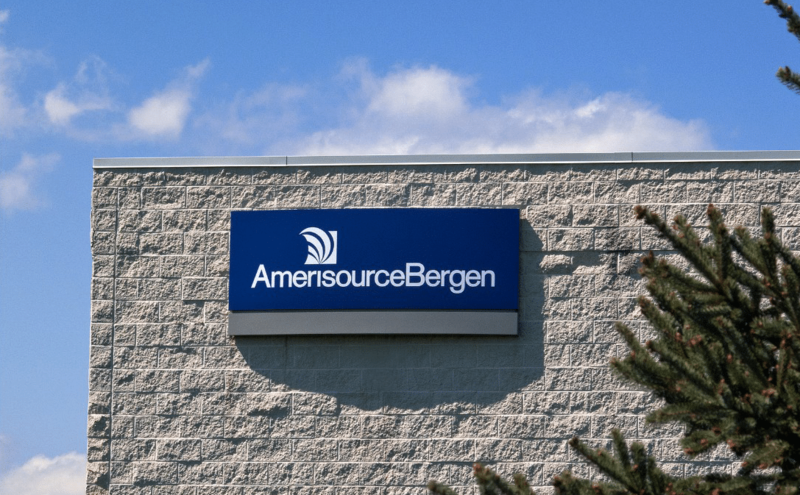 AmerisourceBergen Corporation (referred to as ABC AmeriSource) is a drug company based in the USA that was formed by the merger of Bergen Brunswig and AmeriSource in 2001. Corporate headquarters of the AmerisourceBergen group are in subsidiaries and locations (HQ) in the US, mainly in Pennsylvania. Drug distribution specialty in their distribution centers and related services designed to reduce costs and improve patient outcomes, distribute a range of brand name and generic pharmaceuticals, over-the-counter (OTC) health care products and home health care supplies and equipment to a wide variety of health care providers located throughout the United States are provided by the company. Provision of pharmaceuticals and pharmacy services to long-term care, workers’ compensation, HR portals and specialty drug patients are also practised. In the year of 2001, the company was initially formed, following the merger of two existing corporations: AmeriSource Health Corporation and Bergen Brunswig Corporation. They were both successful pharmaceutical distributors that served common ventures but covered somewhat different geographies. The said corporate move gave the company a strong national presence that was utilised to the international pharmacies, regional retail chain pharmacies, hospitals and more. The prosperous company totalled to 26 pharmaceutical distribution centers in the United States alone, nine distribution centers in Canada, four specialty distribution centers in the US, and over 1 million square feet of packaging production space in the US and the UK. Together with the added functionality of the World Courier, the largest specialty courier company in the world, increasing to more than a hundred. Related services to various healthcare providers, including acute care hospitals and health systems, independent and chain retail pharmacies, mail order pharmacies, medical clinics, long-term care and other alternate site pharmacies, and other customers. Offers third party logistics and outcomes research, and other services for biotechnology and other pharmaceutical manufacturers. Computer storage devices established standards for secure, reliable, and high-quality data storage functionality. A vast number of companies are dedicated to producing, selling, and improving computer storage devices to the point that software, IT devices, and even the most reliable hard drives are being produced in a large amount of supplies to meet demands. One highly-regarded data storage company is the Seagate Technology PLC. Seagate Technology PLC (popularly regarded as simply Seagate) is a data storage company based in the USA. It was incorporated in 1978 under the corporate name of Shugart Technology. Since the year of 2010, the legal Seagate HQ address is in Dublin, Ireland with operational headquarters in Cupertino, California, United States together with several office locations internationally. External backup storage solutions under the Backup Plus and Expansion product lines, as well as under the Maxtor and lacie brands. Pharmaceutical and medical products are one of the most helpful products that humanity had ever been invented and innovated throughout time. Brand establishing is a main thing in big companies in the medical equipment and pharmaceutical industry. One of the main players in the current world is the Johnson and Johnson (or J&J). Johnson & Johnson is US-based medical equipment and Product Company that is founded in 1886. in New Brunswick, New Jersey while the division in several locations of the CV is being located in Skillman, New Jersey. The corporation of J&J includes some 250 subsidiary companies with operations in almost a hundred countries and products sold to nearly 200 countries. In the year of 2015, Johnson & Johnson had worldwide sales of a large $70.1 billion. Johnson & Johnson, together with its subsidiaries, researches and develops, manufactures, and sells various products in the health care field worldwide. It operates through three segments: Consumer, Pharmaceutical, and Medical Devices. The Consumer segment offers baby care products under the JOHNSONS brand; oral care products under the LISTERINE brand; beauty products under the AVEENO, CLEAN & CLEAR, DABAO, JOHNSONS Adult, LE PETITE MARSEILLAIS, NEUTROGENA, RoC, and OGX brands; over-the-counter medicines, including acetaminophen products under the TYLENOL brand; cold, flu, and allergy products under the SUDAFED brand; allergy products under the BENADRYL and ZYRTEC brands; ibuprofen products under the MOTRIN IB brand; and acid reflux products under the PEPCID brand. This segment also provides womens health products, such as sanitary pads under the STAYFREE and CAREFREE brands, and tampons under the o.b. brand; wound care products comprising brand adhesive bandages under the BAND-AID brand and first aid products under the NEOSPORIN brand. The Pharmaceutical segment offers various products in the areas of immunology, infectious diseases and vaccines, neuroscience, oncology, and cardiovascular and metabolic diseases. The Medical Devices segment provides orthopaedic products; general surgery, biosurgical, endomechanical, and energy products; electrophysiology products to treat cardiovascular disease; sterilization and disinfection products to reduce surgical infection; diabetes care products that include blood glucose monitoring and insulin delivery products; and disposable contact lenses. The company markets its products to general public, retail outlets and distributors, wholesalers, hospitals, and health care professionals for prescription use, as well as for use in the professional fields by physicians, nurses, hospitals, eye care professionals, and clinics. Johnson & Johnson was founded in 1885 and is based in New Brunswick, New Jersey. Acid reflux products under the Pepcid brand. Wound care products comprising brand adhesive bandages under the Band-Aid brand and first aid products under the Neosporin brand. Retail stores are the main stops of consumers when it comes to a convenient setting to buy certain goods and other services. Several companies throughout the world continue to grow and prosper to sell products to customers in a staggering rate. One of those is the world famous Walmart. Wal-Mart Stores, Inc. is a US based superstores company that is headquartered (corporate headquarters address) in Bentonville, Arkansas, United States. This multinational company was founded by Sam Walton in 1962 and incorporated on October 31 of 1969. By the end of January of 2017, Walmart stores and clubs amounted to 11,695 in 28 countries, under a collective 63 banners together with a dedicated airport for Walmart HQ. In Canada and US, it bears the original corporate name of Walmart. It operates as “Walmart de México y Centroamérica” in Mexico and Central America, as the Seiyu Group in Japan, as Asda in the United Kingdom, and as Best Price in India. Operations continue in Argentina, Chile, Brazil, and Canada. Walmart also owns and operates the Sam’s Club retail warehouses. Credit card centers are also available in Walmart and its Walmart associates locations, home office, businesses and several head offices internationally. Where is Walmart corporate located? The Walmart headquarters is located in Bentonville, Arkansas – the location of the first Walmart stores. The company was founded by Sam Walton. The Walton family retains ownership of the stores to this day with several of the family members considered some of the richest people in the world. Key People/Executives for Wal-Mart Stores, Inc. In the year of 1945, former JC Penney employee Sam Walton, purchased a branch of the Ben Franklin stores from the Butler Brothers. The main interest is more on selling products at low prices to get higher-volume sales at a lower profit margin, which gave a crusader impression. Developed and established, the then-small company was incorporated as Wal-Mart Stores, Inc. on October 31, 1969. Meanwhile, it opened its home office and first distribution center in Bentonville, Arkansas in the year of 1970. Health and wellness products, which include pharmacy, optical services, clinical services, over-the-counter drugs, and other medical products. Home furnishings, housewares and small appliances, bedding, home decor, and toys. Fuel and financial services and related products, including money orders, prepaid cards, wire transfers, money transfers; check cashing, and bill payment. Companies emerging in the technology industry in general are vastly growing. Specifically, there are some out there that focuses on business solutions, consulting and outsourcing for other businesses. One of which is the US-based Cognizant. Cognizant is a telecom American multinational business corporation that provides digital, technology, consulting, and operations services. It is based in Teaneck, New Jersey, United States. It was initially founded as an in-house technology unit of Dun & Bradstreet in 1994, and started serving outside clients in the year of 1996. The first IPO of Cognizant was made in 1998 after a couple of corporate subsidiary creations and restructures of its predecessors. It was the first company in the software services firm that was listed on the NASDAQ. During the dot com bust, it massively grew in the industry that shocked the big players. As time goes on, it decided to have an inception into application development, complex systems integration and consulting work. The Company operates through four segments: Financial Services, Healthcare, Manufacturing/Retail/Logistics, and Other. The Financial Services segment includes customers providing banking/transaction processing, capital markets and insurance services. The Healthcare segment includes healthcare providers and payers, as well as life sciences customers, including pharmaceutical, biotech and medical device companies. The Manufacturing/Retail/Logistics segment includes manufacturers, retailers, travel and other hospitality customers, as well as customers providing logistics services. The Other segment includes its information, media and entertainment services, communications and high technology operating segments. Its services include consulting and technology services and outsourcing services. Its outsourcing services include application maintenance, IT infrastructure services and business process services. Develops, licenses, implements, and supports proprietary and third-party software products for the healthcare industry, including solutions for health insurance plans, third party benefit administrators, and healthcare providers. Business process services comprising clinical data management, pharmacovigilance, equity research support, commercial operations, and order management services, as well as related services, including platform-based services.